The water tiles are meant to be translucent over LPC rock or LPC sand tiles. I have merged the layers to optimize performance on the ipad/iphone. 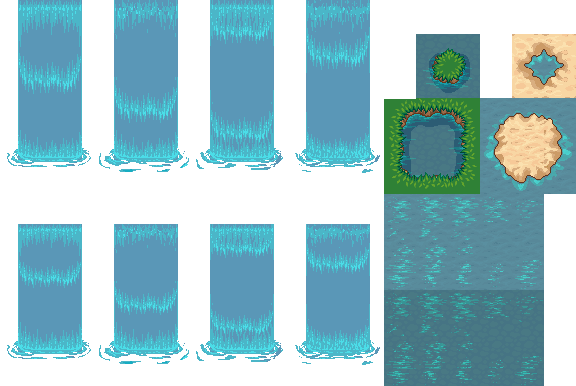 The water tiles also have 3 different glistening effects to create variety. Use the original LPC license and attribution. 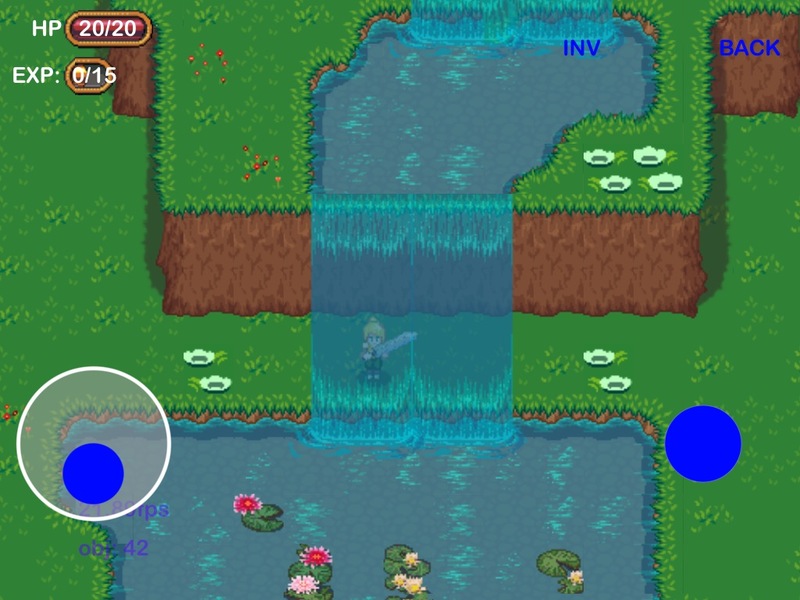 Would be nice to also link to my RPG Game Maker. Hey ZaPaper, that's a great addition to the LPC artwork style. The original LPC assets were dual-licensed under CC-BY-SA 3.0 and GPLv3 so my only suggestion is to add GPLv3.